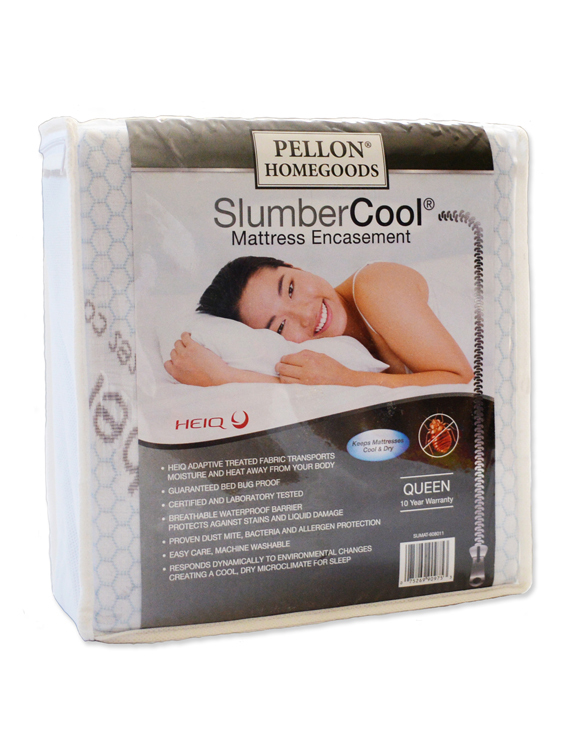 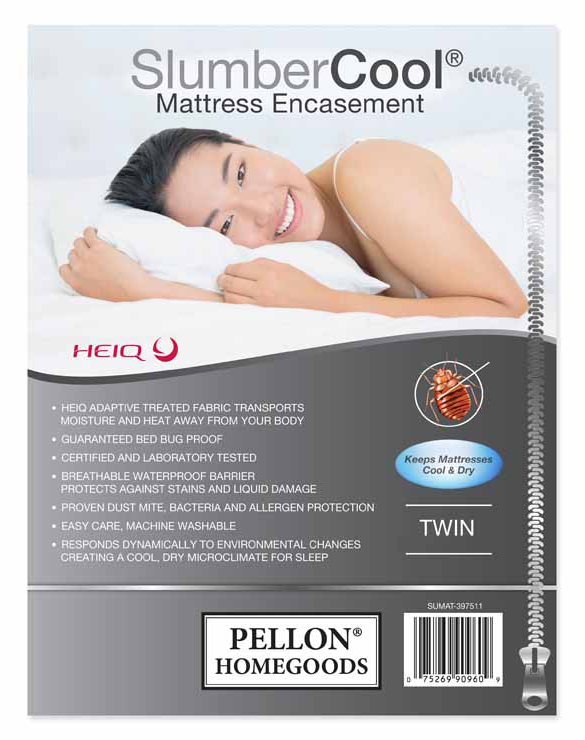 Pellon’s Slumber Cool Mattress Encasement is a zippered mattress cover made with HEIQ adaptive treated fabric, designed to transport moisture and heat away from your body. It responds dynamically to environmental changes to create a cool, dry microclimate for comfortable sleep. 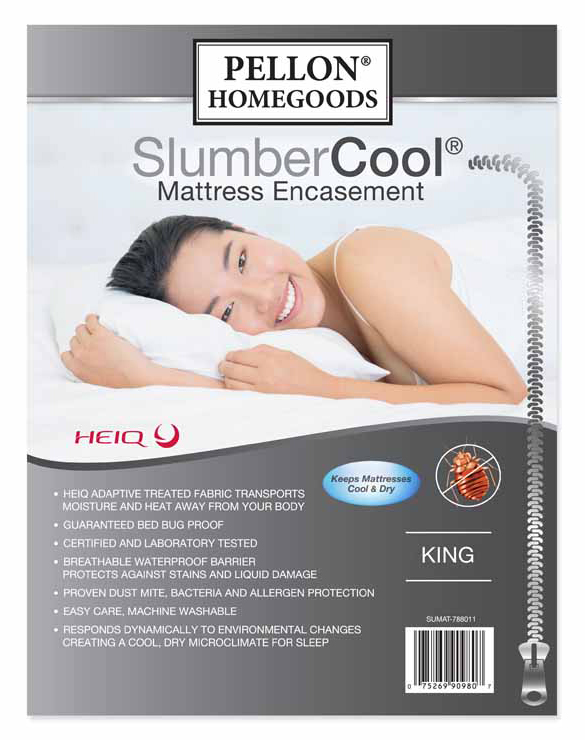 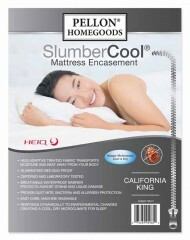 The Slumber Cool Mattress Encasement is bed bug proof and has dust mite, bacteria and allergen protection. It features a breathable, waterproof barrier that protects against stains and liquid damage.